Dyscalculia is a new problem that could limit the ability of students to perform basic math skills. Schools want to alleviate this, because it can negatively affect student progress and hinder students' abilities to learn math concepts as well. Luckily, The Dyscalculia Resource Book is a wonderful asset that students and teachers alike can use. These resources are a game changer in a battle with #dyscalculia! 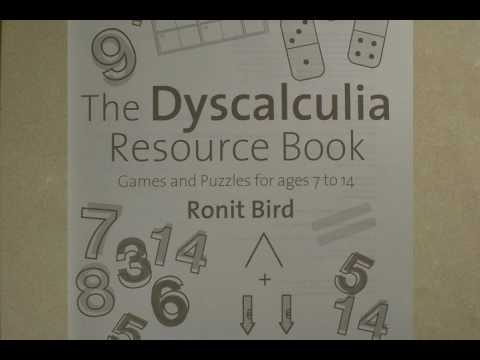 This video shows off the all-new Dyscalculia Resource Book being made available for readers. It's valuable for both parents and students who need help learning basic math. Students can read through the book to understand basic math concepts, and understand some of the terminologies that get commonly used. And this new edition promises to include more information than ever before! Start with the right kinds of concrete materials to provide practical experience and to build up visual models before moving gradually towards more abstract and symbolic methods. Dyscalculia could affect students who want to learn math-related skills for themselves. There is an all-new Dyscalculia Resource Book available for students who need help learning basic math. The Dyscalculia Resource Book is now being touted as a popular item for any school.